Today its time for another sheet mask review. I will quickly review the My Scheming Royal Honey Brightening 7 day sheet mask set. Honey has become one of my favorite skincare ingredients, I love propolis, honey extract, bee venom and everything derived from honey. In my stash you can always find honey themed sheet masks. I couldn't find any product description in English, but looking at the ingredient list its definitely a sheet mask in the 'brightening' category. Niacinamine is third on the ingredient list. Niacinamide is vitamin B3, a very popular and scientifically potent skincare ingredient, it can help with firming skin, clarifying, brightening, reducing acne scars and other anti aging benefits. Then we have allantoin, a common anti-aging ingredient known for its soothing, cell regenerative and moisturizing function. Next we have sodium hyaluronate, the super moisturizing and hydrating agent. 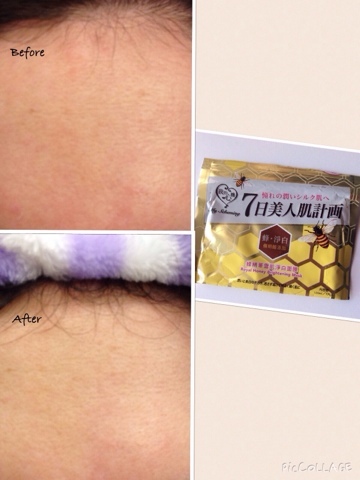 Finally, we have the bee venom and honey extract that give the mask its name. I'm slightly disappointed to see them somewhere in the middle of then ingredient list and not higher up. 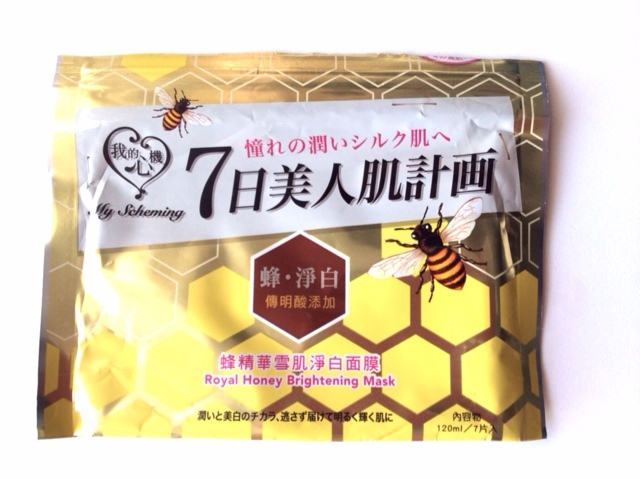 The My Scheming 7 days Royal Honey Brightening masks come packaged with ziploc seal containing seven sheet masks. The packaging is not something I really like, I prefer sheet mask that are individually wrapped. Japanese sheet masks come usually packed together, its not common for Korean and Taiwanese brands. As you probably know My Scheming masks are usually individually wrapped. 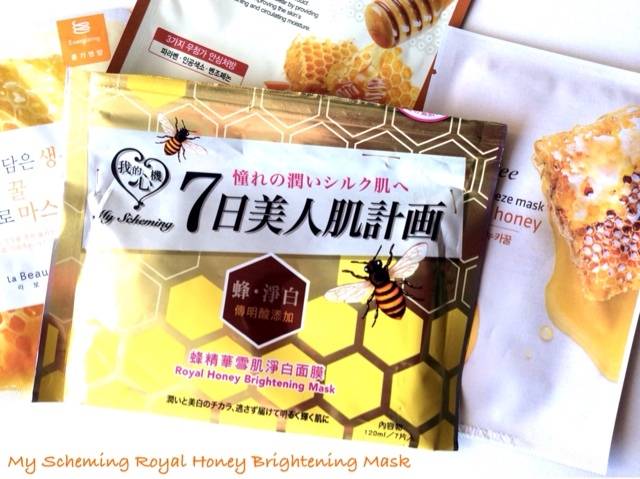 The Royal Honey Brightening masks are an exception, as one mask is supposed to be used each day of the week, so a week long mask pampering routine. I didn't use the mask everyday for one week, but just randomly throughout the month. I guess I'm just too lazy and I also wanted to save some of them for later. Application is just as with every other regular sheet mask. The packaging has a lot of essence, 120 ml for 7 sheet masks. The masks are soaked in essence but its not easy to take them out. They are pretty much clumped together as you can see. The fit is good for me as with every My Scheming sheet mask. There is no left over essence because the masks are all packed together, so nothing to apply on my neck. Its a honey sheet mask with Niacinamide, so of course I expected brightening and moisturizing effects. Usually, I can review a sheet mask after a 1-2 time use, but I have used more than 5 of these sheet mask so I have a pretty good feeling about it. The mask stays moist on my face for over 25-30 minutes, it feels quite cooling and hydrating. I usually let in on for 30 minutes before it's completely dried out. I like the material, its thin and wears comfortable. 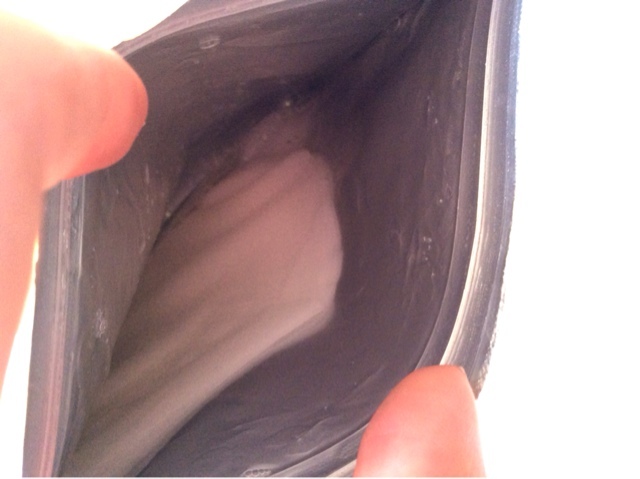 Here is a before and after picture (note: can't capture much with pictures but some effect is definitely visible.?.). There is some brightening and evening of skin tone. Hydration is okay, but don't expect too much. Overall, I like the My Scheming Royal Honey sheet masks. My Scheming masks are one of my favorite brands, they are affordable, work good and the packaging is adorable.....The royal Honey brightening mask delivered what it promised, brightening! It also makes the skin tone more even. The ingredient list is pretty good, the only negative point I can think about is that honey extract and bee venom are lower on the ingredient list. 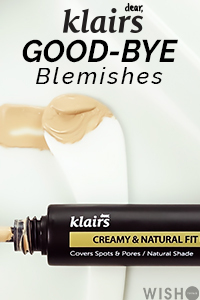 I will definitely repurchase it, and try it for one week each day like advertised. Lets hope it will enhance the brightening effect and diminish hyper pigmentation. 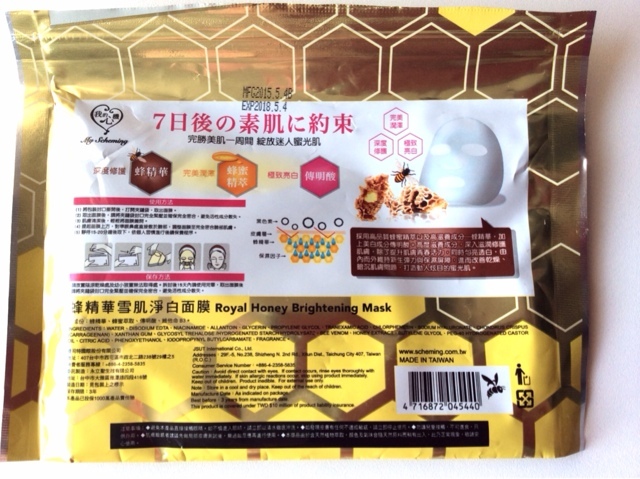 I purchased the My Scheming Royal Honey mask on ebay for around 11$. You can find it on ebay now for 11.99$ And on Amazon* for 12.70$. Thanks for the review c: The packaging is so adorable! It seems so messy with having all 7 masks in one packaging >_< You skin saw some amazing instant results though, the brightening effect looks awesome!